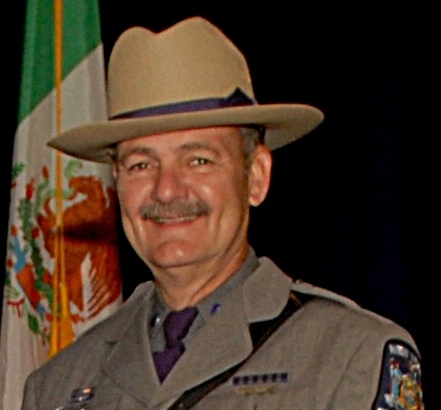 Trooper William Keane suffered a fatal heart attack while officially representing the New York State Police in the North American Inspectors Championship in Salt Lake City, Utah. Trooper Keane had been participating in the timed commercial vehicle inspection events when he began to feel ill. He was transported to a local hospital when his conditioned worsened but passed away a short time later. Trooper Keane was a U.S. Navy veteran. He had served with the New York State Police for 26 years and was assigned to the Commercial Vehicle Enforcement Unit in Troop A. He is survived by his wife, seven children, and six grandchildren.